Summer has officially begun. School’s out, summer camps are overflowing and the gyms are full of people trying to get their bodies summer ready. BPI Sports is here to help you kick off the hot season with some #BPISummer essentials, so you can take full advantage of the long, sunny days ahead. We have great news! In addition to high-quality sports supplements, now you can get BPI Sports’ cool apparel line on BPISports.com! 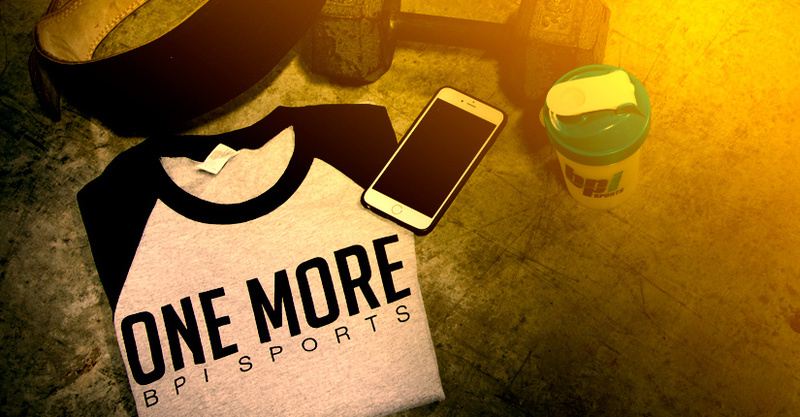 From our “training facilities” t-shirts to the “one more rep” baseball shirt, it’s ath-leisure at its best! Made in various fits and with easy-to-wash materials, you can go from the beach to the gym in comfort and style. Choose from boyfriend-fit muscle tanks, loose-fitting t-shirts or even a BPI Sports baseball cap. It may be summer, but that doesn’t mean you’re on vacation. For most of us, the warmer months include busy schedules, running errands, after-work gym sessions and much, much more. 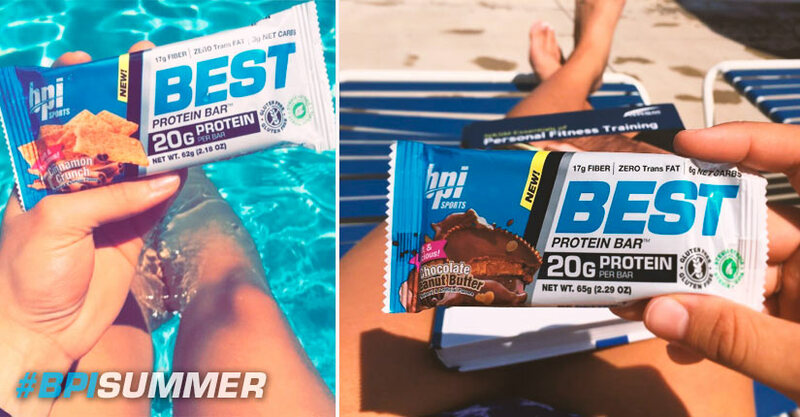 That’s why the Best Protein Bar™ is another of your #BPISummer essentials. It’s perfect for curbing your hunger in between meals, as a healthy snack pre-workout or post workout, and even when traveling. We all know how nutritious the options at airports are these days. The Best Protein Bar™ features 20 grams of the ideal protein mix: whey protein isolate, milk protein isolate and whey powder. This great-tasting protein bar has zero fillers like maltodextrin or corn fiber, it packs 15 to 17 grams of fiber, depending on the flavor. Learn more about one of our newest supplements thanks to a full Best Protein Bar™ video breakdown, from ingredients to digestion rate, by BPI Sports athlete Tyrone Bell. 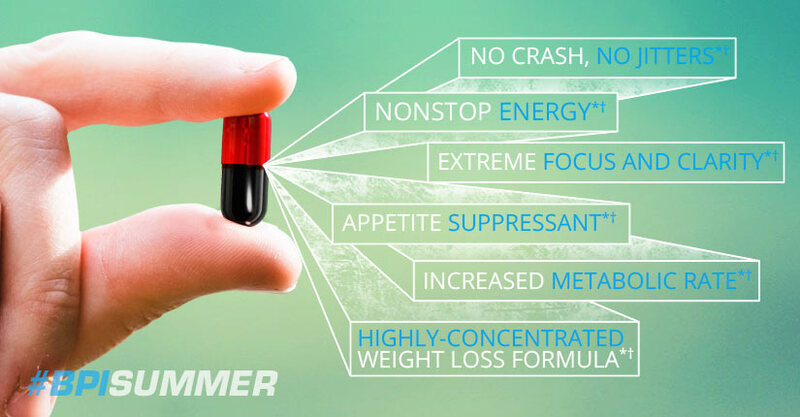 When you take a truly effective thermogenic, your body can transform into a fat-blasting machine, taking your weight loss efforts to the next level. The extremely potent RoxyLean™ formula isn’t your typical diet pill, it’s a medi-biological, highly-concentrated fat burner that boosts your metabolic rate and helps you curb your appetite. Due to popular demand, BPI Sports brought back the fat-burning and weight loss supplement, just in time for summer. It gets better! RoxyLean™ also delivers nonstop energy and razor-like focus and clarity, so you can train harder, longer and with more intensity. No need to worry about “the crash” or “jitters.” RoxyLean™ was designed to provide a sustained energy release to help you be productive throughout your entire day. Learn more about how to enhance the effects of your fat-burner. The warmer months mean you can enjoy exercising outside, not just in the gym. You can jog, play tennis, swim, hike, even perform bodyweight circuits. If you’d like to maximize the number of calories you burn, check out our blog “What Exercises Burn the Most Calories.” Did you know cycling can burn anywhere from 650 to 1000 calories per hour? Find out what fits your schedule and energy levels, and go for it. From stylish attire to fat burners, these #BPISummer essentials will set you up for the best bikini season yet!